This book introduces literary métissage as a way to research, teach, and live ethically «with all our relations» in our precarious times. The authors theorize and perform literary métissage through the praxis of life writing, braiding their autobiographical texts, in various (mixed) genres, into seven themes. 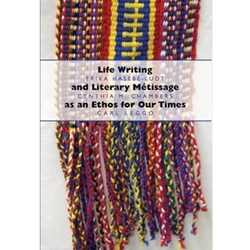 Life Writing and Literary Métissage as an Ethos for Our Times explores this writing praxis, with its more inclusive and generative notions of knowledge and knowledge practices, as a tool for creating more just societies and schools.